This article assumes some of its interested readers are seniors who have decided to forego matrimonial bliss; the public act of “leaving and cleaving” as detailed in Genesis 2:24: “Therefore a man shall leave his father and mother and hold fast to this wife, and they shall become one flesh.” According to Sandra Block, Senior Editor for Kiplinger Personal Finance, there is an increasing number of seniors who choose to live together without confirming their love publicly and legally by marriage. In her article, The Financial Pros and Cons of Getting Married Later in Life, she notes the number of people 50 and older who live together outside of marriage more than doubled from 2000 to 2010, from 1.2 million to 2.75 million. The societal increase in divorce following the feminist movement’s onset in the 1960’s has very likely led to the increase in seniors who cohabitate. After all, it stands to reason the pain, discomfort and trauma caused by divorce on children and young adults may render those same parties less than willing to experience the same pain, discomfort and trauma as they age. For other seniors, it may not be the fear of commitment or a broken heart that deters them. Instead, they are likely afraid of the financial implications. After all, their earning potential has been reduced as they age, and their current assets are likely critical to their continued existence. Even though cohabitation is occurring at a higher rate, unmarried cohabitants face unique estate planning challenges such as the events of incapacity, inheritance, and estate taxation. Because these events will likely occur sooner than later in their lives, estate planning is especially important for older adults in this situation. For the purposes of this article, we will discuss Joe and Linda. Joe is a seventy-year-old widower and father of two adult children. Linda is a sixty-nine-year-old divorced mother of three adult children. Their adult children live in other states and neither party has become particularly close to their partner’s children as a result. Joe and Linda began living together in Joe’s rental home in 2015 and for the most part share living expenses such as groceries, utilities and other bills. All bills remain in Joe’s name only as a matter of convenience. Linda is not a party to the lease at the rental home. Neither Joe nor Linda has taken the time to create estate planning packages or burial plans. What are some of the challenges Joe and Linda will face without estate planning in place? Neither party can make healthcare decisions for the other: Unlike married seniors, neither Joe nor Linda are presumed to be legal decision makers for each other. To that end, most states generally consider them unrelated, disassociated and unable to decide for the other. The University of Missouri Center for Health Ethics indicates that if an unmarried patient is incapacitated and there is no living will, and no durable power of attorney designating a single decision maker, they will look only to “family members in order or degree of relatedness.” According to the University’s Center for Health Ethics, this orderly list of family members includes adult children, parents, and adult siblings. Therefore, neither Joe or Linda would likely be afforded the ability to make fundamental health and financial decisions for their cohabitant in the event of incapacity at any University health facility. As a further illustration, one day, Joe has a stroke and is unable to speak or communicate. Linda, assuming her role as lover, caregiver and partner of two years travels with her roommate Joe to the hospital to communicate her wishes to authorities. To her surprise, she is told that she lacks a legal relationship with Joe and her wishes will not be observed. Only Joe’s spouse, parents, adult children or adult siblings may have some ability to speak on his behalf according to hospital officials. The search for those people takes hours and finally Joe’s daughter arrives from a neighboring state. The daughter isn’t fond of Linda and summarily tells Linda that her services aren’t necessary and that her access to Joe will be limited. Linda is caused to leave the hospital and await news in their rental home. Had Joe established a Healthcare Power of Attorney with a reputable attorney and designated Linda as his agent, this difficult situation could have been avoided. Neither can make financial decisions for the other: While Joe is receiving prolonged medical treatment in the hospital, the rent and utilities at Joe’s home become due. Linda seeks to make the payments to the landlord and utility provider timely but when she approaches Joe’s bank she is told she lacks the legal capacity to access his accounts. Now, Linda’s tenancy at the rental home becomes an issue in that the rent is late because she can’t afford to pay the bills on her limited income. Thereafter, when seeking to discuss Joe’s bills with the landlord and utility company, she is told they won’t speak with her in that her name does not appear on their client list. Instead, the landlord has spoken with Joe’s daughter and the daughter has indicated Joe is likely to be rehomed and begin living at a rehabilitation facility if he recovers from his stroke-related illness. Had Joe established a Durable Power of Attorney for Financial Decisions with a reputable attorney and designated Linda as his agent, this difficult situation could have been avoided. Joe’s wish to avoid medical treatment without hope of recovery cannot be observed: Weeks go by and Joe languishes in a hospital room on a ventilator. Because Joe did not create a Health Care Directive or Living Will, his family members and Linda are unable to observe his wishes of avoiding a prolonged hospital stay without hope of life improvement by discontinuing medical services. His savings and assets eventually dwindle as medical bills escalate. Doctors treat Joe with the latest in medical knowledge, but Joe never improves and instead lies motionless in his hospital bed. Linda lacks the ability to participate in Joe’s probate matters: Joe passes away from his health complications. Meanwhile, Linda was caused to remove herself from the rental home because she was not a party to the lease and rent was not paid timely. Linda now lives with her daughter in Illinois. Without a Last Will and Testament, Joe has died intestate. When a Missouri resident dies without having signed a Last Will and Testament, Missouri’s intestacy succession laws will dictate who inherits the items in the deceased person’s estate. Linda assumes that since Joe’s children live in other states and had little to do with him over the last two years that she would oversee his probate estate. After all, Joe’s children rarely visited over the last two years and she was more intimately familiar with Joe’s last wishes. Upon discussing the matter with a local attorney, Linda discovers more cold, hard truth regarding her legal relationship with Joe. Without court order or documents signed by Joe, she lacks the ability to pay Joe’s creditors, sell his assets or even arrange his burial plans. Joe’s remaining assets are now disposed of by Missouri’s intestate succession laws. Because Joe’s parents, siblings and spouse predeceased him, his entire estate passes to his children and funeral arrangements are made by his children and lack the character that Joe and Linda both wished for one another. It is vital that any couple who elect to cohabitate obtain expert legal counsel to create estate planning documents and minimize or eliminate these adverse results. Without proper estate planning, an unmarried partner lacks the ability to make important decisions for their loved one. Depending on how assets are titled, an unmarried partner could receive nothing and be forced out of the home the couple lived in for years. Even more penalizing could be their inability to see that their loved one’s wishes are carried out at the end of life. This can be a very unpleasant surprise for unmarried partners who planned their final days together but elected to not become husband and wife. It is highly advisable that people in this situation meet with am experienced attorney to discuss their options and avoid these types of unwanted circumstances. Most people have worked their entire life to accumulate assets. Everyone should experience the peace of mind that comes with making sure that their finances are protected if they become incapacitated, that decisions about health care mirror their wishes, and that children and other loved ones are taken care of when that time eventually arrives. If you haven’t started your estate planning or would like to update your documents, call 573-634-2838 to make an appointment for a no-cost consultation. 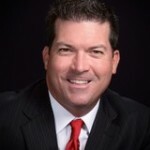 Todd Miller is a regular contributor and writes and speaks on various legal topics including bankruptcy, estate planning, probate and elder law. His firm, the Law Office of Todd Miller, LLC, 1305 Southwest Blvd., Ste. A, Jefferson City, Missouri, represents civil, criminal, business and governmental clients. Most recently, he was recognized by the Missouri Bar in its Best of CLE Spotlight for his contribution to educate Missouri lawyers and in 2016, he received the prestigious Adviser of the Year award by GolfInc. Mr. Miller earned his juris doctorate degree from the University of Missouri School of Law and graduated with honors from Lincoln University. You may find him at www.toddmillerlaw.com (573) 634-2838 or on Facebook, LinkedIn, and Twitter. Understanding Property Taxes in MissouriShould We be Concerned Our Political Leaders are Aging?